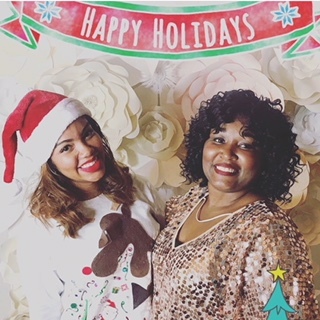 Last Saturday, December 16, we had our first annual holiday open house. And, if you weren’t there you missed it! Some of Baltimore’s Elite showed up for a party to remember. Guests enjoyed a treasure trove of holiday sweets and festive drinks. And, the sights were just as impressive. Models worked the room donning the latest in bridal wear. The beauties showcased dresses by Allure and MinkMaids and hair and makeup by Elite Secrets, of course! Between mixing and mingling our Elite clients and friends had fun taking photos with Megapixel Media in front of our infamous flower wall. At the end of the night, we announced the winner of our raffle. A lucky attendee walked away with a ticket to the Baltimore Bride’s Aisle Style Event. Thank you to our bridal event manager, Sabrina, Megapixels Media, the ladies of Bird of Paradise Events, Sarah Beth Ramsey, Events by Lady J, New Beginnings Event Management, Tira Lynn Events, Alexis Wilkins Events, and Mr. Keith of Christopher Schafer Clothier. We kicked off the month with our first MinkMaids Trunk Show. 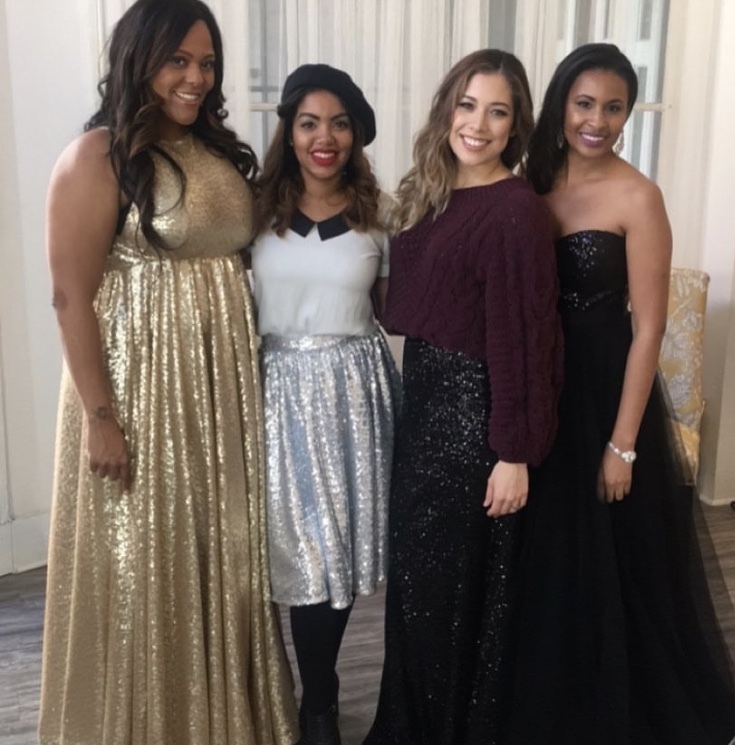 Brides and local wedding vendors gathered at our Mount Vernon bridal boutique to shop and mingle over champagne. Not only did we feature stunning wedding dresses from the collection, but ready-to-wear evening gowns—perfect for bridesmaids, mother of the bride, or festive holiday events. The MinkMaids Trunk Show was a huge hit! In fact, because the show was such a success we’ve extended the MinkMaids Trunk Show for a New Year’s Special! Enjoy 10% off MinkMaids ready-to-wear evening gowns and 50% off New Year’s makeup! Ring in the New Year with head to toe glam from Elite Secrets and MinkMaids. Our last event of the year, took place last night—our Prayer night. With so many things to be grateful for, ending the year in prayer could not be more fitting. Led by of dear friend Tonya, we praised God for all the blessings bestowed in 2017 and thanked him for blessings, increase, victory, and favor for the new year. We can’t end this blog post without thanking all of you. This year has been amazing, and we are tremendously grateful for your support—whether you read the blog, liked a post, shopped with us, referred a friend, or stopped by the showroom. No deed—big or small—positive thought, or prayer went unnoticed. We thank you for everything! Have a happy holiday!